COULD YOU BE OUR FUTURE VINTAGE? Once in a life time opportunity to kick start your career in the wine industry through a tailored development program. The Graduate Program is driven by passionate wine industry professionals; keen to share their knowledge with the next future vintage of talent. Graduates with a genuine passion for wine who are excited by new challenges and demonstrate an entrepreneurial and innovative spirit. We seek curious, open-minded graduates who are interested in foreign cultures, have a convivial nature and a proactive approach to work. What's the role of a wine ambassador? Our ambassadors are wine educators, dedicated to developing strong relationships with customers, consumers and key industry stakeholders. They support our local marketing and sales teams at wine events and marketing initiatives, while contributing to the expansion of our wine business through innovative ideas. ARE YOU OUR FUTURE VINTAGE? Application for our European Intake candidates have now closed. Pacific intake is open mid 2019 - date to be confirmed. 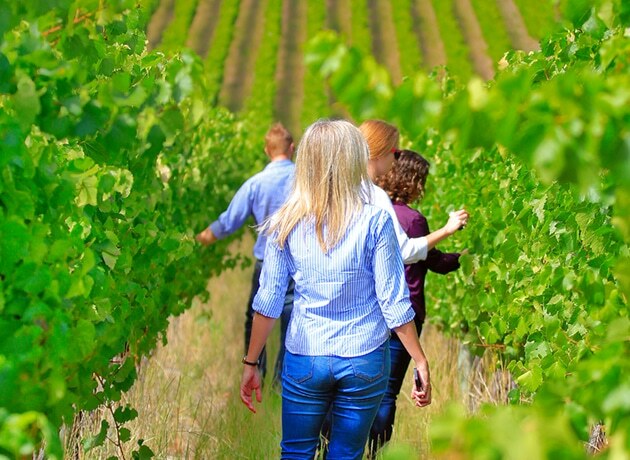 Spend time with our winemakers and specialist teams to understand viticulture and winemaking processes to become a wine expert, who is confident in running wine tastings. Build your wine storytelling, presentation and public speaking skills, across various audiences. Work with the teams who bring our wines to life including: marketing, communications, digital and sales. Enhance your creative skills with dedicated training. Enhance your knowledge of wine and learn about major grape varieties with the Wine & Spirit Education Trust Level 2 Award in Wines and Spirits. You'll gain a certification recognised in the wine industry worldwide. Understand distribution channels and how to implement promotions. You'll also get to meet and interact with key customers. Put all the knowledge and tools acquired during your training into practice as you lead the development of the wine business with the local team in your assigned market.